Pumpkin spice lattes, pumpkin cheesecake, even pumpkin spice Oreos! When the leaves start to change and weather starts to cool, pumpkin season is in full swing. Whether it’s carving one or cooking one, pumpkins just put you into the holiday mood. And we aren’t the only ones to appreciate this icon of autumn. The pumpkin has been serving up nutritious deliciousness for centuries. Today we’re bringing you a recipe for 200-year-old pumpkin pie. You can’t go wrong with this time-honored recipe full of ancient pumpkin goodness. Cucurbita pepo or the pumpkin squash was a major part of the ancient Mesoamerican diet. Remains of the food at the Guilá Naquitz Cave in Oaxaca, Mexico have been dated to between 8,000 and 7,000 BCE. It did not look like the round, plump squash we know and love today. Rather, it was narrower with a crooked top. People relied on its seeds for food instead of its bitter flesh, of which there was very little. Eventually, domestication of the plant allowed for the cultivation of bigger plants with more abundant and palatable flesh, whereby it became even more valuable as a food source. Check out our blog post on Ancient Maya and the Enduring Taste of Pumpkin Soup for a clue as to how these ancient people were enjoying the pumpkin. The pumpkin emerged in North America around the same time as it did in South and Central America, but separately from those areas. Over thousands of years the northern Native Americans developed an ingenious agricultural technique to grow pumpkins and other squashes. Named the Three Sisters technique by the Iroquois, this early form of companion gardening allowed the natives to cultivate their three most valuable crops—squash, corn and beans—extremely efficiently. The beans grew on the corn, which serves as a “natural trellis,” while the roots of the beans sent much needed nitrogen into the soil to nourish the corn. The squash plants protected the corn’s shallow roots from the weather. It is a sophisticated symbiotic method that evolved over thousands of years and eventually resulted in a form of ancient sustainable agriculture. These three crops were so important that the Iroquois believed the plants were inseparable (as with sisters) and were bequeathed to them by the gods. Indeed, many tribes even ascribed religious significant to the different plant parts. Once the pumpkins were ready to be harvested, they were used in every conceivable way. The flesh could be cooked by boiling, roasting, baking or drying. The seeds were dried or roasted as well. The meat of the squash was dried and ground into a flour. The skins were dried and used as containers to store other valuable seeds and grains. Nothing was wasted. The whole pumpkin was put to good use in order to sustain the people. So it isn’t surprising that the pumpkin only became more and more popular throughout the centuries, eventually becoming a holiday decoration (see how pumpkins replaced turnips—yes, that’s right, turnips—as a Halloween decoration in America) and even a social media meme (thank you, Starbucks)! Pumpkin is now the favorite autumnal flavor thanks to its delightful taste and some savvy marketing. Here’s a thought. After reading this ancient pumpkin history, you may be yearning for a little pumpkin in your life this season. Why not skip the Starbucks and instead make the traditional, old-fashioned pumpkin pie below? It’s been a palate-pleaser for 200 years. Even your seductively spiced pumpkin latte can’t beat that! *Adapted from Lydia Child’s recipe in The American Frugal Housewife. Adaptations courtesy of The Washington Times. Slice the skin from the top and bottom of the pumpkin. In a curving motion, cut remaining skin in segments from the sides, working from top to bottom. Cut flesh in half, scoop out and discard seeds and cut the flesh in chunks; they should weigh about 2 pounds. Put pumpkin in a saucepan with water to cover base of the pan. Add the lid and cook over medium heat, stirring often, so pumpkin steams until it can be crushed easily with a fork, 30-45 minutes. Crush it with a potato masher or puree in a food processor until smooth. Heat oven to 400 degrees and put a baking sheet low down on a shelf to heat. Heat milk in a large saucepan. Stir in pumpkin puree and cook over medium heat, stirring constantly, so the mixture thickens slightly, about 20 minutes. Let cool to tepid, then stir in sugar, salt, cinnamon, ginger and lemon if using. Taste and adjust sweetness and spice. Transfer filling to pie shells. Set pies on the heated baking sheet and bake in the oven 15 minutes. Lower heat to 350 degrees and continue baking until pies are firm but slightly wobbly in the center, 40 to 50 minutes more. Betz, V. (n.d.). Athena Review 2,1: Early plant domestication in Mesoamerica. Retrieved October 24, 2014. 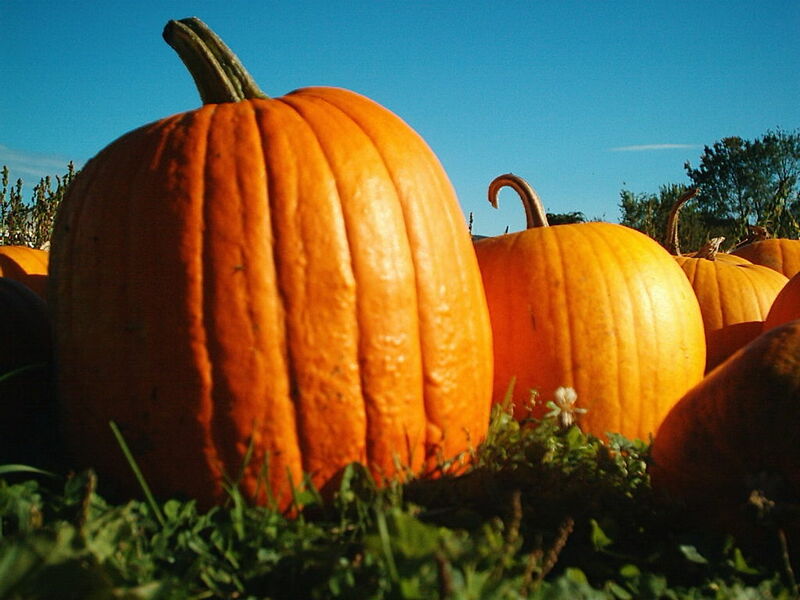 All About Pumpkins – Pumpkin History. (2008, January 1). Retrieved October 24, 2014. Theobald, M. (n.d.). Some Pumpkins! Halloween and Pumpkins in Colonial America. Retrieved October 24, 2014. This entry was posted in Blog, Bon Appetit Wednesday, Culinary, Culture and tagged ancient Halloween, ancient history, ancient pumpkin pie, ancient recipes, AntiquityNOW, Halloween, pumpkin, Three Sisters agriculture. Bookmark the permalink.